Customer experience is currently a hot topic. People seem to understand its importance and are willing to invest in its development. However, the main challenges are often related to the implementation of practical measures, which has to do with the underlying issue of allocating and focusing resources. The challenges usually become evident at a time when the company has already decided on the desired target state: Where will the customer encounters take place, and what kind of impression does the company want to convey in these situations. Where should the resources be focused to ensure that the desired customer experience is passed on to the customers in each and every customer encounter? Also, what is the ultimate customer experience and what building blocks are needed for it in technical support? Barona IT started to look for answers to these questions last spring, when we approached experts who create and develop technical support solutions for their own customers. We wanted to hear how they see the development of the field: Which trends are emerging in technical support, what kind of effect will automation and technology have, and what other means of competing are visible on the horizon. We also wanted to bring forward our own views and experiences of the kinds of skills and solutions that can help achieve the desired customer experience. These discussions resulted in the Customer Experience in Technical Support guide. With digitalisation, technology is becoming increasingly important, regardless of the industry. Increasingly, many of the challenges faced by customers in the use of different services or products are technical in nature. On the other hand, technology makes it easier for customers to receive support in different situations. At the same time, however, our expectations of what we perceive a ‘quality customer experience’ as consumers are changing. If I become accustomed as a consumer to receiving a service 24/7, at extremely short notice, I will start to consider it a criterion even when using IT support services in my working life. This is not an easy situation for IT support, when you consider the constantly growing number of supported devices and applications. How to keep everything easy and transparent from the customer’s point of view? This spring during Barona CX Day, I listened to the presentation on customer experience by Kari Korkiakoski, the founder of Futurelab Finland. This excellent presentation left one word in particular in my mind: ‘memory imprint’. Feeling is the most essential element of the customer experience, and to me the term ‘memory imprint’ describes very well the experience which the client, consciously or unconsciously, is left with after a customer encounter. You can certainly generate a positive feeling in the customer through an ingenious and inventive user interface which solves a problem, but what is particularly important is the meeting between people. Timely support from a customer service-minded technical expert can be extremely rewarding. In the best case, a knowledgeable expert will be able to solve another challenge during the same service situation, one that I was not even aware of when I was seeking help. A good example of a successful customer experience for me was when I had just moved to a new address. I couldn’t get the wireless network to work, and I called a paid customer service number. However, despite several attempts by the helpful customer service agent, the problem was not resolved, and they had to end the call with apologies. I felt disappointed and had to go and find a solution elsewhere. A few minutes later, however, I received a call from the same customer service agent: “I talked to my colleagues, and I think I now have a solution to your problem. Do you want to try one more thing?” This ‘one more thing’ turned out to be the solution to my problem, and after a while my wireless was working. The work of a technical expert plays an extremely important role in leaving a positive ‘memory imprint’, but what else should we focus on? 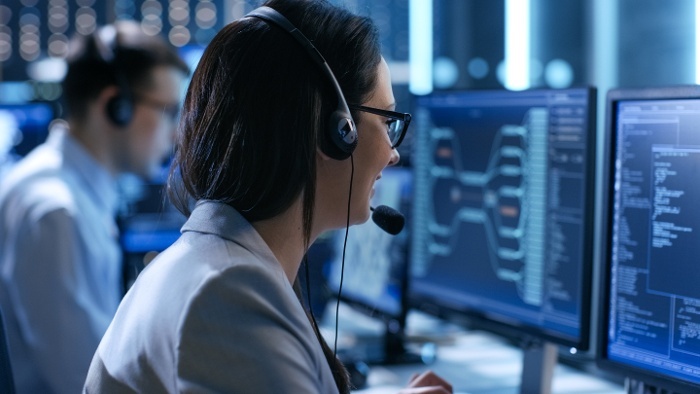 How important are, for example, the underlying processes, and in what way should the customer receive support, and what is the importance of various preventative solutions? In our guide, we deal with the customer experience in technical support from a variety of viewpoints, with the help of expert interviews. In the autumn, we will also include guest writers, deepening the different viewpoints presented in the guide. However, I would like to take the opportunity already at this stage to thank all those involved in creating the guide, with special thanks to the experts we interviewed, namely Pete Brusi, Ari Puustinen, Minna Nousiainen, Magnus Engdahl and Mikael Nuotio, for very interesting discussions. Hopefully, through this concise guide, we will be able to bring useful perspectives to as many readers as possible who are working on the development of technical support. Henrik Rantala (EVP) is responsible for the business operations at Barona IT. Barona IT employs annually over 900 experts through various resourcing solutions in Finland, Sweden, Denmark and Poland. From Poland we provide a variety of Service Desk services to the Nordic countries.